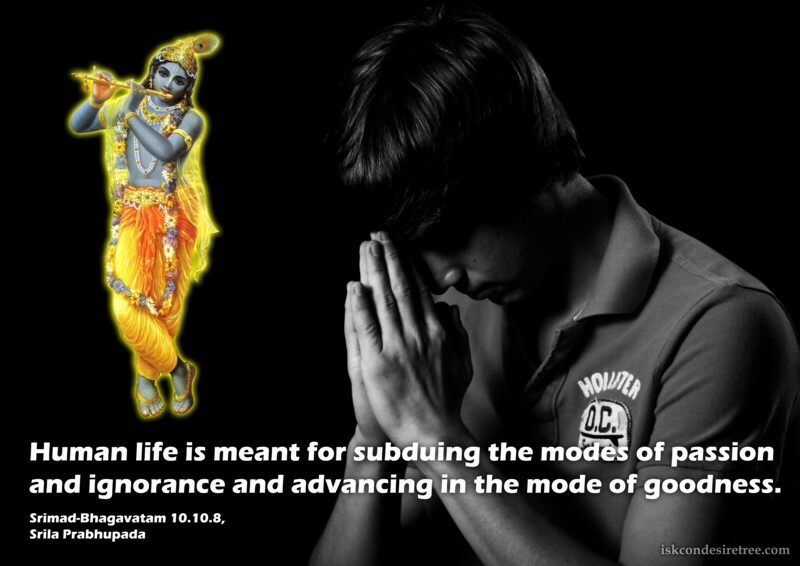 Human life is meant for subduing the modes of passion and ignorance and advancing in the mode of goodness. 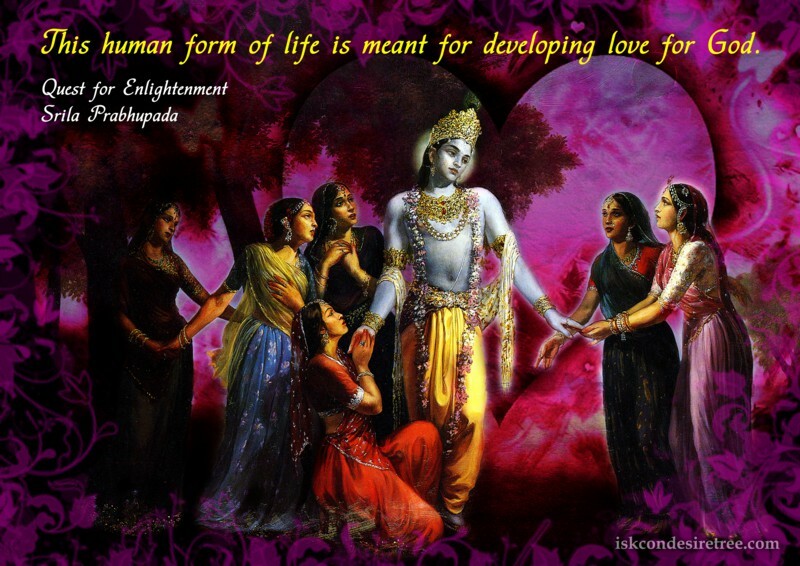 This Human form of life is meant for developing love for God. 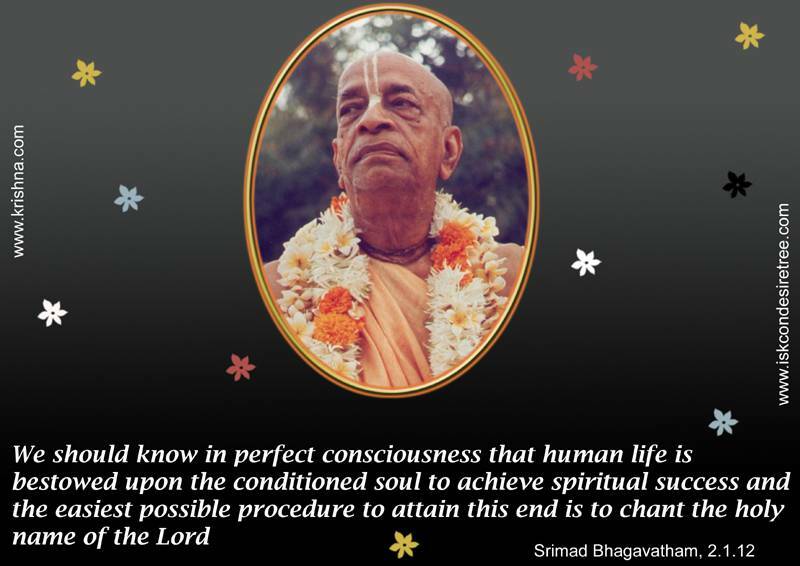 We Should know in perfect consciousness that human life is bestowed upon the conditioned soul to achieve spiritual success and the easiest possible procedure to attain this end is to chant the holy name of the Lord. 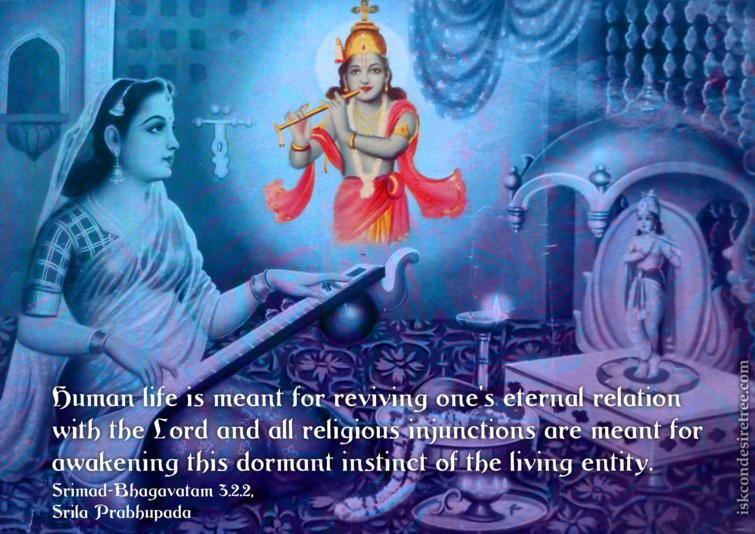 – Srimad Bhagavatam, 02.01.12. 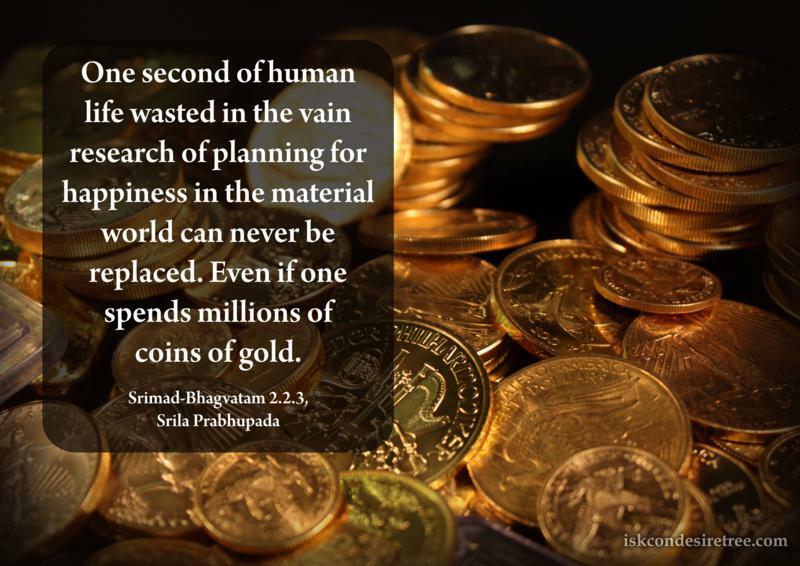 One second of human life wasted in the vain research of planning for happiness in the material world can never be replaced even if one spends millions of coins of gold. Human Life is meant for reviving one's eternal relation with the Lord and all religious injunctions are meant for awakening this dormant instinct of the living entity. 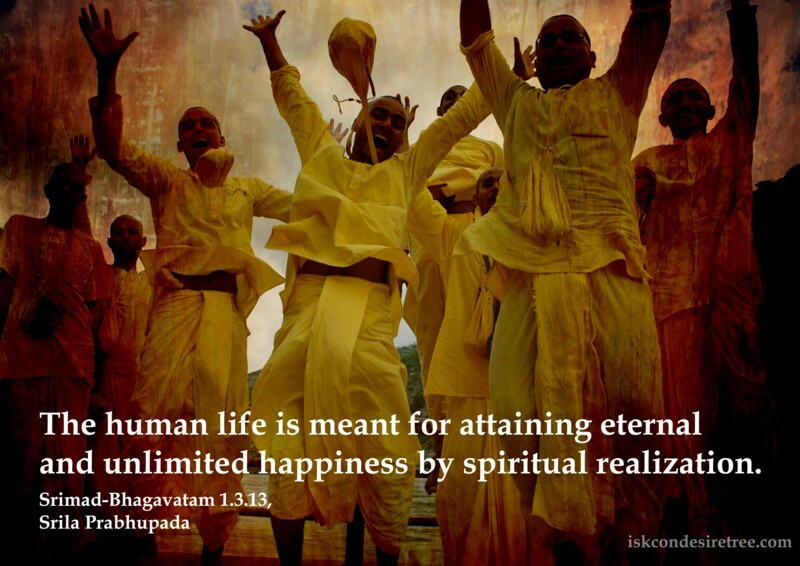 The human life is meant for attaining eternal and unlimited happiness by spiritual realization.